Kathy Riley leads the foundation’s efforts to develop and execute family support programs for the more than 28,000 patients and families impacted by a pediatric brain tumor diagnosis. A Certified Health Education Specialist, she has spent more than 20 years addressing the needs of hundreds of these families by providing information, community resources, and emotional, social, and educational support. Before joining the PBTF in 2016, Kathy co-founded and served as the executive director of We Can, Pediatric Brain Tumor Network, a parent-initiated support network for families of children fighting brain tumors. Working alongside her We Can co-founder, Kathy developed hospital support programs that connect families with trained parent mentors on the front lines of treatment, brain tumor family camps that help parents and children escape the rigors of treatment, and educational support meetings that offer every family member opportunities to experience the strength and knowledge of other families. 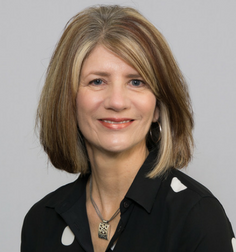 Kathy’s areas of interest include family-centered care, cancer survivorship, and the role of public board members as advocates in hospitals and nonprofits. She graduated “With Distinction” in the Master of Public Health Program at California State University Northridge. She is the mother of Peter, a long-term pediatric brain tumor survivor.